Did you try to give to SoFAB on Give NOLA Day? If you're anywhere near the New Orleans metro area, you probably heard about Give NOLA Day yesterday and the website crash that prevented some donors from giving! Apparently people were being just too generous for the website that runs Give NOLA Day's donations, along with 53 other community giving days. Although frustrating, it's great news that so many people are supporting their local non-profits. First of all, a huge thanks to everyone who was able to donate to the Southern Food & Beverage Museum through the Give NOLA Day website yesterday! Your support is so essential to the museum and our mission, and we are deeply grateful for your generosity. If you did have trouble giving yesterday, thank you again for taking the time to do so! 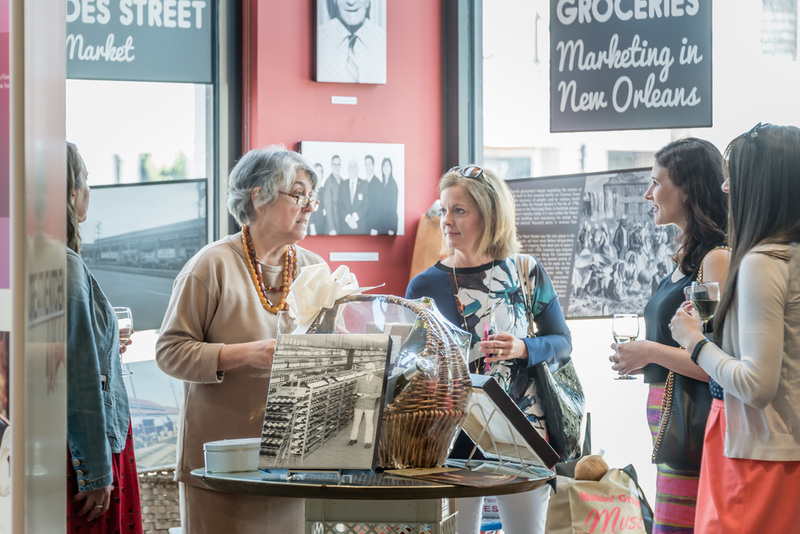 The Greater New Orleans Foundation is working on the best way to move forward, but in the meantime, you can still support the Southern Food & Beverage Museum and our programs through the Give NOLA Day platform. Here's a pledge form you can fill out to pledge your support and have your donation count for SoFAB's Give NOLA Day donations (so we can be eligible for Lagniappe Funds!). Please send these to kelsey@southernfood.org by Thursday, May 5 for your pledge to count! You can also email kelsey@southernfood.org with your name, email, pledge amount, and phone number so we may send this directly to the GiveNOLA team. Did you donate yesterday but you're not sure if it went through? Contact givenola@gnof.org directly to ask! If you did donate, please rest assured that the technological issues surrounding Kimbia’s issues in no way compromised any credit card information. Please let us know if you have any other questions, and check on the Give NOLA Day website for the most up-to-date information. The Southern Food & Beverage Museum is a special organization. As one of the only non-corporate food museums in the country (let alone the world) we've given ourselves a fun, always challenging, sometimes crazy mission. How do you even begin to narrow down the history and culture behind food, especially making enough sense out of it to display to visitors? That's why our job is to not only showcase foods, culinary traditions, and products is not a typical museum experience. We want to engage our visitors, make them share their favorite food memories and must-haves in each state. We also want to make food, to share techniques and stories of eating, and to sip a cocktail. Your support helps us develop new exhibits and programs, allows our staff to focus on creating wonderful experiences for our patrons, and helps all of our projects come to fruition. As a division of the National Food & Beverage Foundation, SoFAB is a part of a greater effort to understand our identity and culture through food and drink. Take a look around our website to see all of the projects that your donation supports.